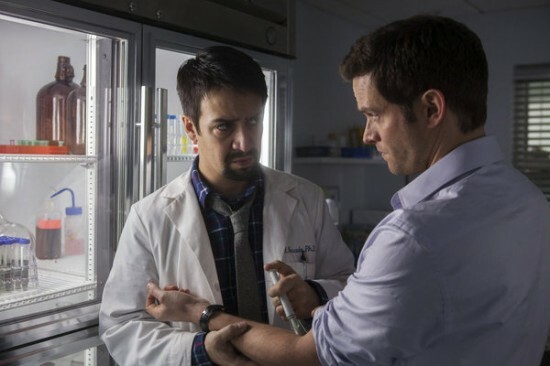 Saturday, August 31, 2013 ratings — New episodes: Do No Harm. Sports: College Football: Georgia at Clemson. Episode reruns: Cops, Bones, American Ninja Warrior, Mike & Molly, Two and a Half Men, and 48 Hours. 8pm – College Football: Georgia at Clemson: (sports) 2.7 in the demo with 7.38 million. 8pm – Mike & Molly: (rerun) 0.3 in the demo with 2.19 million. 8:30pm – Two and a Half Men: (rerun) 0.3 in the demo with 2.36 million. 9pm – 48 Hours: (rerun) 0.6 in the demo with 4.04 million. 10pm – 48 Hours: (rerun) 0.8 in the demo with 5.12 million. 8pm – Cops: (rerun) 0.5 in the demo with 1.94 million. 8:30pm – Cops: (rerun) 0.5 in the demo with 2.05 million. 9pm – Bones: (rerun) 0.5 in the demo with 1.87 million. 8pm – American Ninja Warrior: (rerun) 0.7 in the demo with 2.10 million. 9pm – Do No Harm: 0.5 in the demo with 1.59 million. 10pm – Do No Harm: 0.5 in the demo with 1.75 million.